THD #17 is coming soon! From our humble beginnings on a double-decker couch in Kalamazoo, MI, International Tom Hanks Day has grown to be just that - International! Every year 100% of the proceeds from our events go directly to support Lifeline Energy. If you have a moment, please take some time to learn more about their organization. They have great people working for a great cause and the amount of work they put in to help families in need is just unbelievable. Still not sure what to think about the whole Tom Hanks Day thing? Well we promise you we aren’t making any of this up! Tom Hanks Day has been featured in numerous publications and media outlets over the years. THD coverage has ranged from major publications and networks like CNN, Time, The Chicago Sun Times, WGN, and TMZ, to radio outlets like WBEZ, B96, and Z96.5. And to top it all off, Tom himself has recognized our efforts on Jimmy Kimmel Live as well as on his social media accounts. So with the constant support of the nicest man in Hollywood, we want to share this joy with people all over the world. We’d love if you took a look around the site and clicked on some links, and when you’re ready to start a Tom Hanks Day chapter in your city, we’ll be right here to support you, every step of the way. Please check back soon to find THD events near you! The Lifeplayer MP3, financed mainly by Tom Hanks, offers on-demand education access to vulnerable populations. The first of its kind, the solar and wind-up Lifeplayer can play 128 GB of content and is a 5-band radio designed for groups listening. The Lifeplayer is providing education access in several African countries. The solar and wind-up Prime radio with FM, AM and three SW bands, is being used in radio distance education programs and for womens' listening groups in Africa. Tom Hanks, who understands the importance of radio, also helped to finance the Prime. 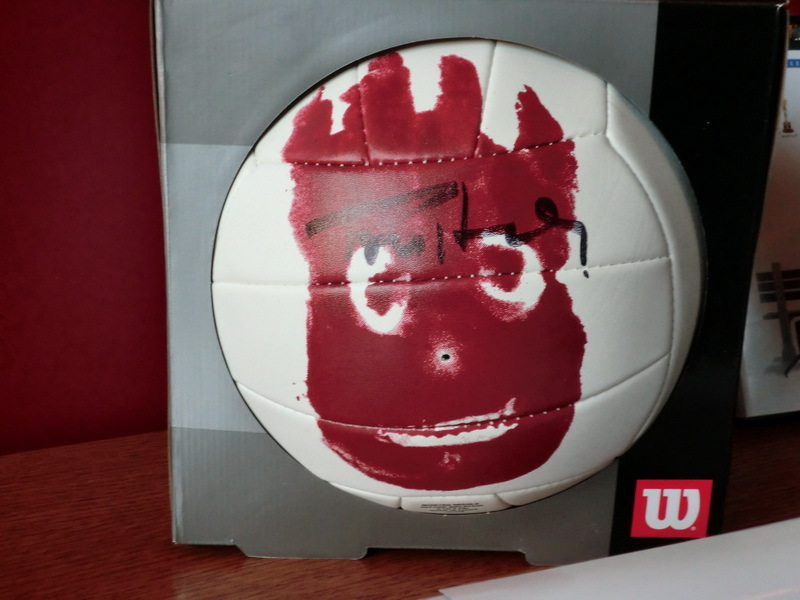 In January 2014, we agreed it was time to take Tom Hanks Day to a whole new level, so we hatched an idea and ventured into something none of us had ever done before. We came to you; THD party-goers, Tom Hanks’ fans, and all-round cool people the world over, and asked for your help. On January 21st, our Kickstarter project went live, with the intended goal of raising $9,000 to help us take Tom Hanks Day to new heights. That money would be used to expand the THD name and help set up this brand new website that allows you to create and maintain your own THD party/event. We weren't exactly sure what would happen, but in just 39 days, YOU made it happen. With 198 backers from 7 different countries, not only did we reach our goal...we exceeded it by more than $1,000! So, as promised, here are all the people that helped to make our project a success; the ‘Stars of THD’.